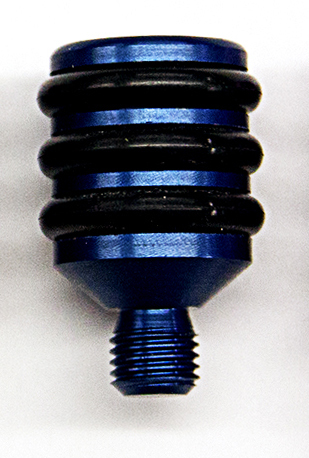 The TCS Manufacturingtm AR Style bore guide properly aligns the cleaning jag and patch or brush with the bore. 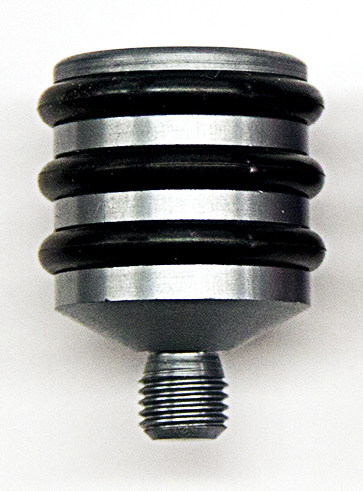 This tool prevents the rod from hitting the sides of the bore. It also prevents dirt, oil and solvent from falling into the action. 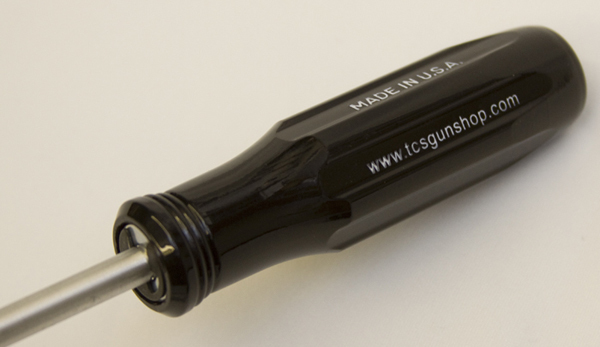 This speeds up cleaning and prevents damage to the chamber and barrel. The TCS Manufacturing Gas Tube Cleaning Guide properly aligns the Gas Tube Cleaner with the Gas Tube. It makes it easy to clean the gas tube,and prevents dirt, oil, and solvent from falling in the action, while speeding up cleaning and preventing damage to the gas tube. TCS Manufacturingtm patch jags press the patch that has been treated with solvent or bore paste against the barrel and into the rifling to mechanically strip the carbon, plastic, and copper out of the bore. 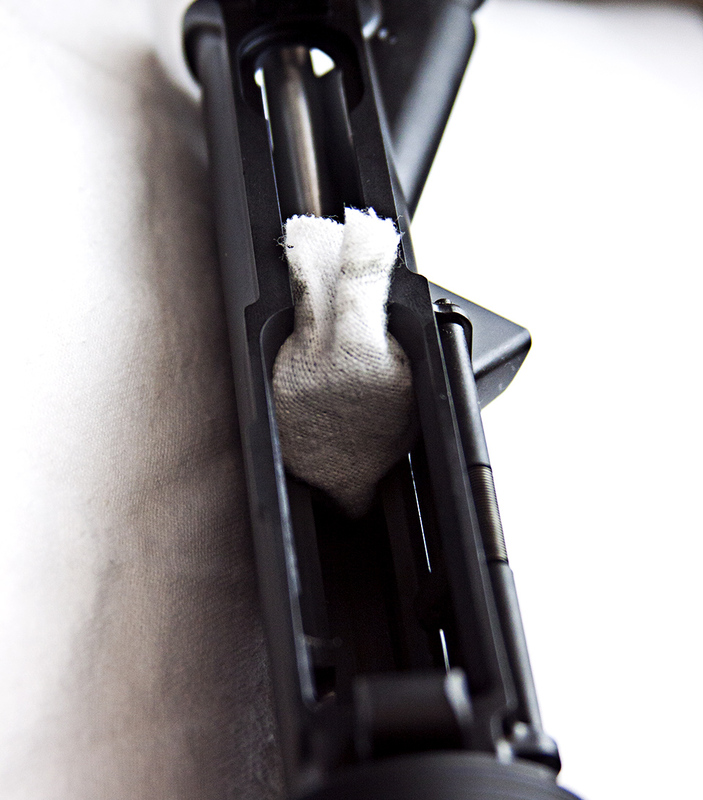 For faster cleaning of shotgun barrels, you can use 0000 mild steel wool or fine brass wool spread over the patch instead of a brush to loosen dirt. In addition to cleaning, our jags are also used for oiling the bore, and for storage as well as removing oil before firing. 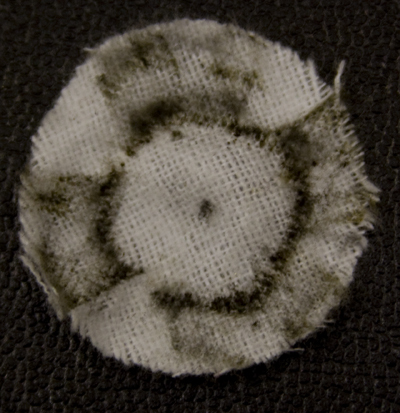 We used this patch with no solvent for demonstration purposes, and pushed it through the barrel once. As you can see, TCS Manufacturingtm Jags clean better than any other jag on the market. “The proof is on the patchtm”. In order to use TCS Manufacturingtm jags, you must use round patches that are .015" inches thick. The Custom Shop sells patches specifically sized for each jag we sell. Please go to our secure shopping cart and follow the patch recommendations on the bottom of the page. TCS Manufacturingtm Shotgun magazine tube patch jags are designed specifically for cleaning shotgun magazine tubes and are made with pride in the USA. These patch jags press the patch that has been treated with solvent or bore paste against the magazine tube to mechanically strip out debris that could inhibit your guns smooth feeding. These Jags are the only jag on the market designed to clean magazine tubes. “The proof is on the patch”. In addition to cleaning, our jags are also used for oiling the magazine for storage. 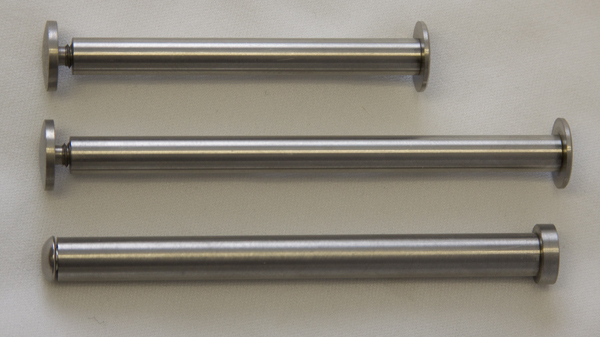 Our shotgun jags fit all standard rods with 5/16x27 threads. 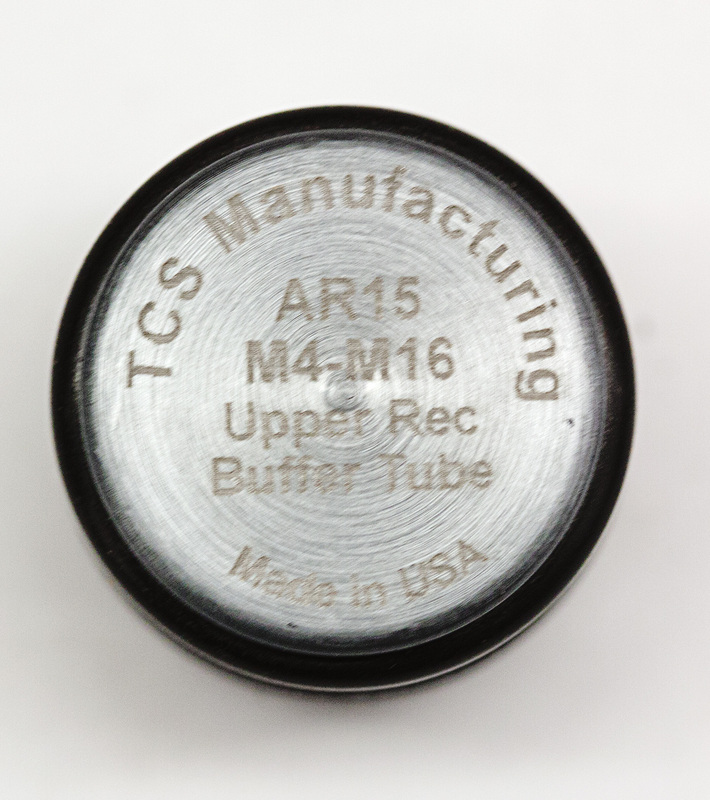 In addition to this product, we suggest you purchase USP Bore Paste and Round TCS Manufacturingtm Patches for Shotguns. These patches are the perfect size for use with our jags and other patches may cause problems with tight fit. Square patches should not be used with our jags. For the first time ever, this revolutionary new tool allows you to easily clean and lubricate the upper receiver on AR-10 style rifles. This tool easily works with the interrupted cuts in the AR-10 receiver. 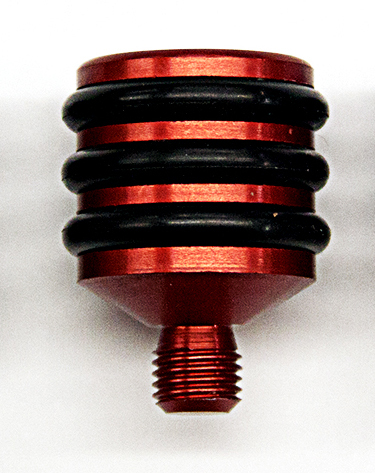 The unique o-rings design of this jag holds onto the patch for the entire process, allowing you to scrub the action and remove burnt on built up gas residue. This tool is also excellent for applying lubricant to the action. 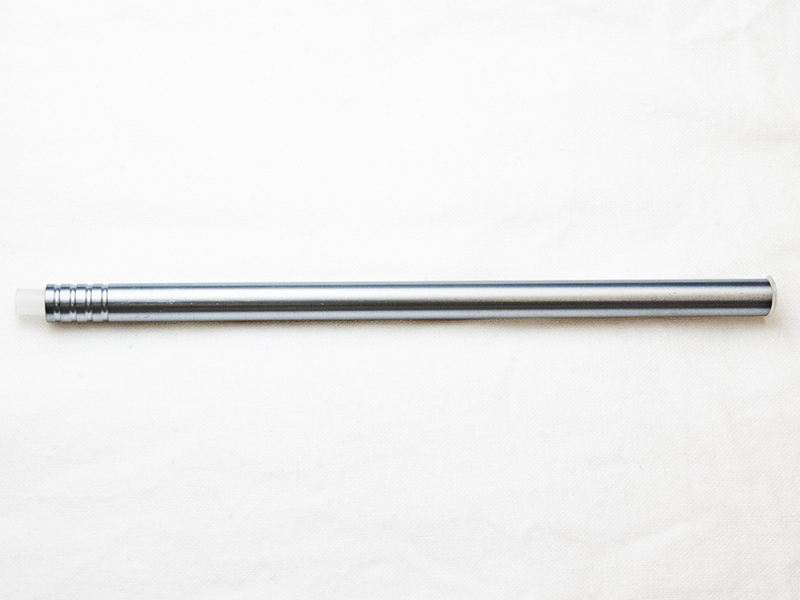 This product has standard 5/16x27 threads that fit our new New TCS Manufacturingtm AR-15 Upper and Buffer Tube Cleaning Rod and all standard shotgun rods and adapters. 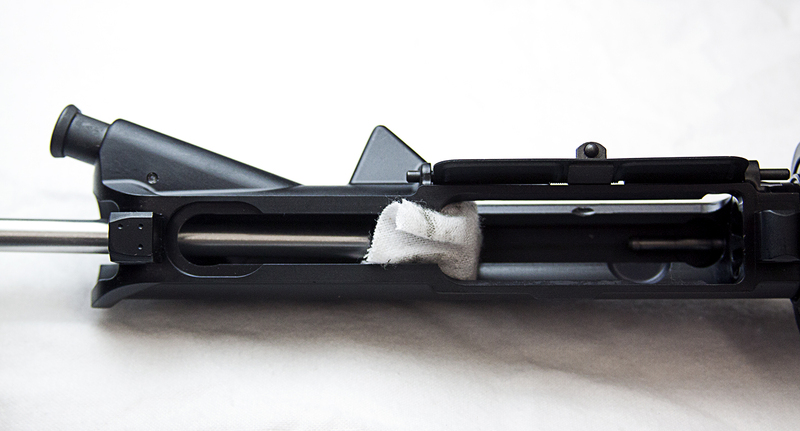 For the first time ever, this revolutionary new tool allows you to easily clean and lubricate the upper receiver and buffer tube on AR-15 style rifles. 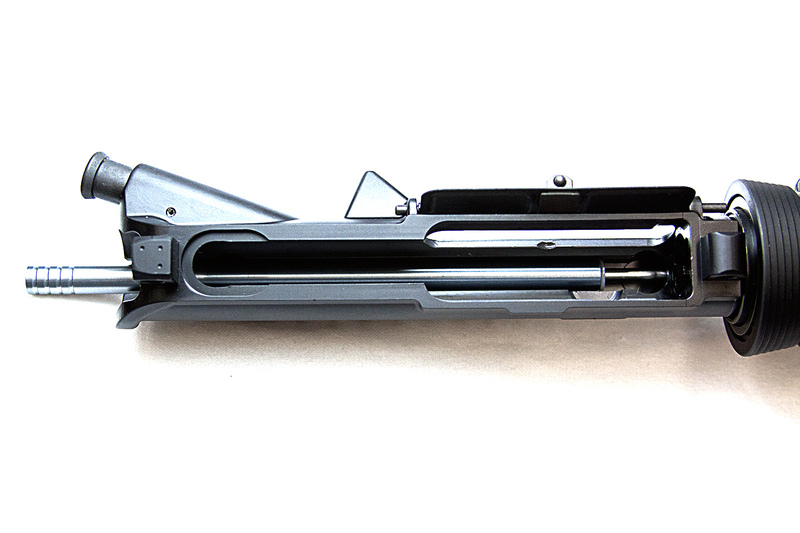 This tool easily works with the interrupted cuts in the AR-15 receiver. The unique o-rings design of this jag holds onto the patch for the entire process, allowing you to scrub the action and remove burnt on built up gas residue. This tool is also excellent for applying lubricant to the action. 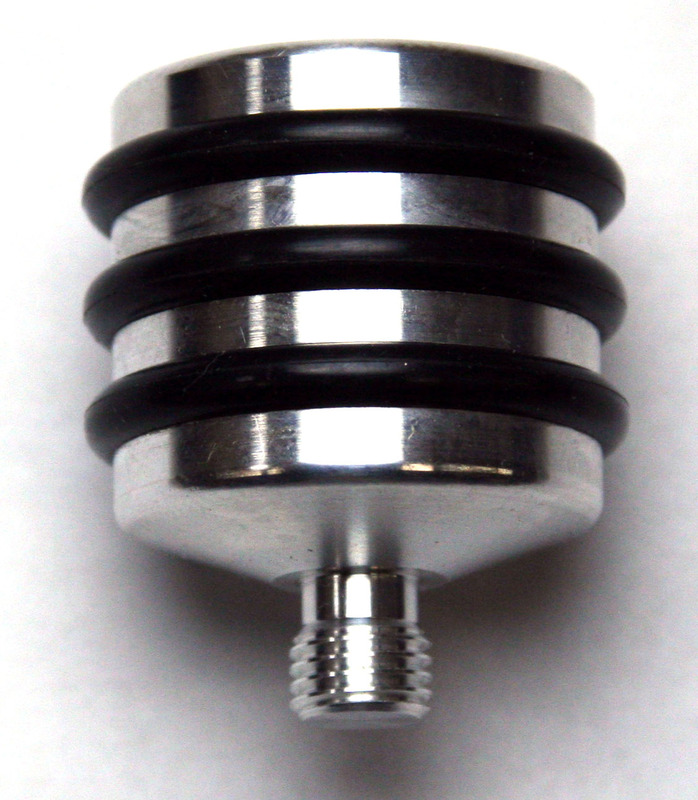 This jag, also bypasses the buffer tube retaining pin, and makes cleaning the buffer tube easy(Please note: that the buffer and buffer spring must be removed for this purpose). 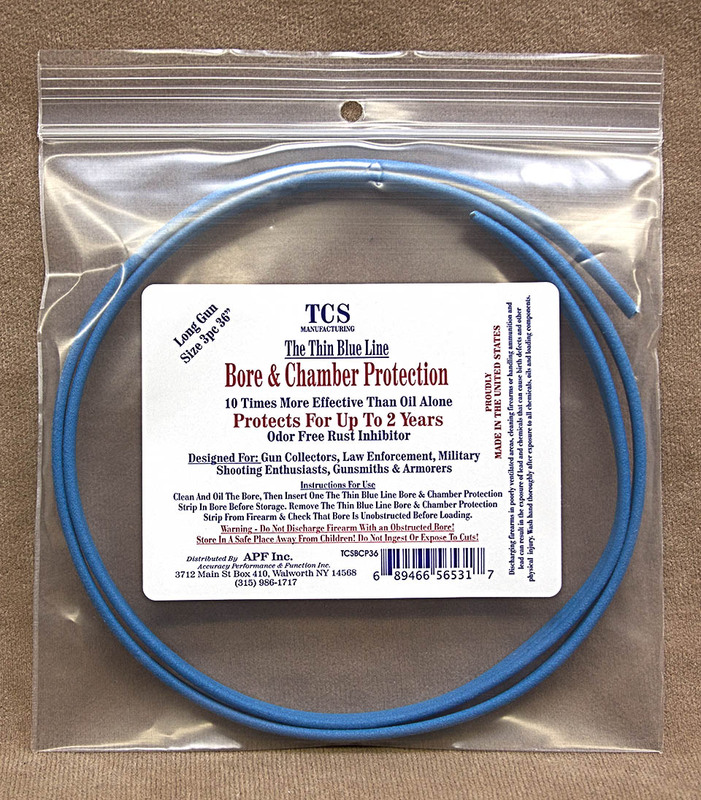 This product has standard 5/16x27 threads that fit our new New TCS Manufacturingtm AR-15 Upper and Buffer Tube Cleaning Rod and all standard shotgun rods and adapters. 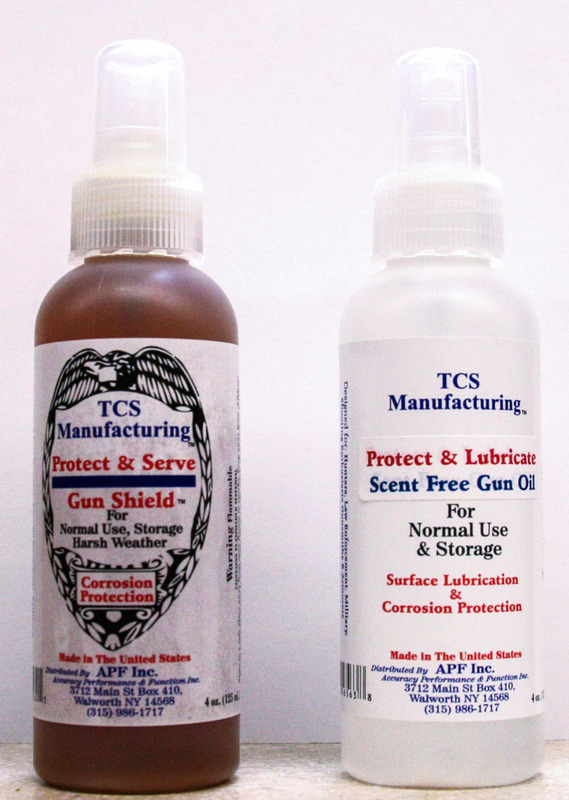 Available in 22, 9mm/38, 40, 45 caliber, and 12 Gauge Shotgun the TCS Manufacturingtm Tactical Cleaning Kittm is one of the most complete handgun cleaning kits on the market. Designed to meet the needs of Law Enforcement & Military as well as the civilian market, it's the only kit that features the TCS Manufacturingtm Family of products. It comes equipped with a heavy duty reusable polypropylene box, TCS Manufacturingtm Cleaning Jag, TCS Manufacturingtm odor free Tactical Cleaning Solventtm, TCS Manufacturingtm Ultimate Firearms Lubricanttm, TCS Manufacturingtm 6" Law Enforcement Rod or 22 Caliber Rod, Cleaning Patches, TCS Manufacturingtm Heavy Duty Cleaning Brush, Armorers Parts Brush, Cotton Cleaning Swabs, a syringe of TCS Manufacturingtm Bore Cleaning Paste, wooden spatula, TCS Manufacturingtm Oil Cloth and a complete set of instructions for using the kit. 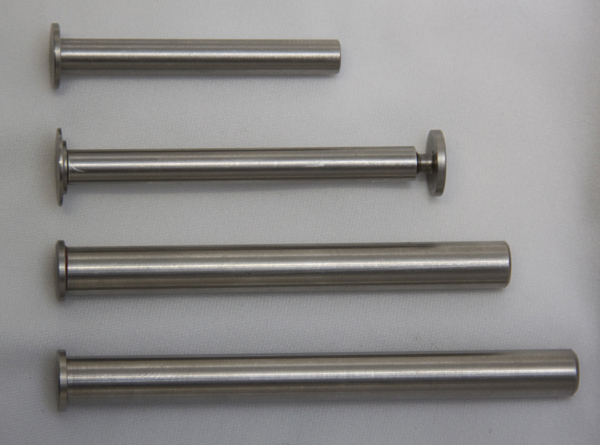 TCS Manufacturingtm Bore Paste is a micrometer ground garnet in a grey Gel. Just put a dab on a patch and spread it with the included spatula, then press the patch down your gun's barrel. This non embedding bore paste strips carbon, lead, and copper out of the barrel, without the foul smells and toxicity of powder solvents. This is the best bore paste available. It is Faster, easier and safer than the alternatives, TCStm Borepaste is a must have for any gun owner. When you use this bore paste, "the proof will be on the patch." Are you angry and frustrated with expensive cleaning brushes that are cheap, flimsy, and made in China? Would you like to be able to forget about the those other products? 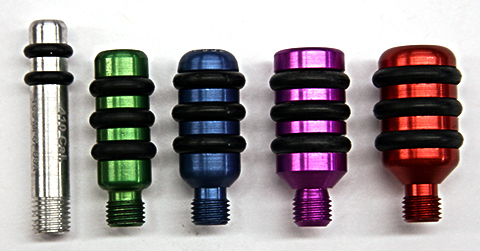 Would you like to have a more effective more robust, and less expensive option that is made in America? TCS TCS Manufacturingtm is coming to your rescue. We are producing a Brush that is 50% stronger than other brushes on the market. It lasts longer, works better, and costs less. When you purchase our product, you will remember that you paid less, got more, and actually have a product that works. This is our promise to you., buy our brushes and you will have a superior product, that works better, costs less, and is made in America. TCS Tactical Cleaning Solventtm is a fully synthetic cleaning oil designed to remove carbon fouling from duty weapons. Perfect for Law Enforcement, Military, Shooting Enthusiasts, Gunsmiths and Armorers, this solvent is odor free, safe to use, and more effective than other brands. Because this solvent is a fully synthetic oil, metal parts can be soaked in this product without fear of oxidative damage. An armorer's brush, or 0000 steel wool may be used with caution to remove heavy deposits and rust. This solvent is available in three convenient sizes. Our 1 oz size is perfect for portable cleaning kits and range bags. Our 4 oz pump spray bottle is the quickest and easiest way to clean you gun. Our 8 oz bottle is perfect for those customers who want a greater volume of solvent so they can soak parts. Old or new model determination is based on the front of the slide. New model slides are chamfered on the side, and old models are square looking.